How do you choose a trustworthy roofing contractor? Endon Roofing have the answer! Single ply membrane is the modern alternative to felt. As a well-established flat roofing specialist, we supply the most reliable systems. Whether you are looking to waterproof an industrial roof, replace commercial roofing, or bring flat roofed residential buildings (think garages, extensions and outbuildings) up to date, Endon Roofing can help. Endon specialise in flat roof refurbishment and replacement. Established in 2003 we have a dedicated and highly qualified team, our directors have over 30years’ roofing industry experience, while our trained technicians all carry CSCS cards. The benefits of a single ply flat roof system are numerous. Cost effective, long lasting, environmentally friendly and quick and easy to install they are a dependable alternative to bitumen-based roofs. You can even invest in a ‘garden roof’, which promotes the growth of rooftop vegetation. Waterproof, lightweight and eco-friendly, it serves as a natural habitat for insects and birds. Our service is every bit as impressive as our top-quality products. After carrying out a thorough assessment of your roofing requirements, we will put together a clear and cost-conscious proposal. 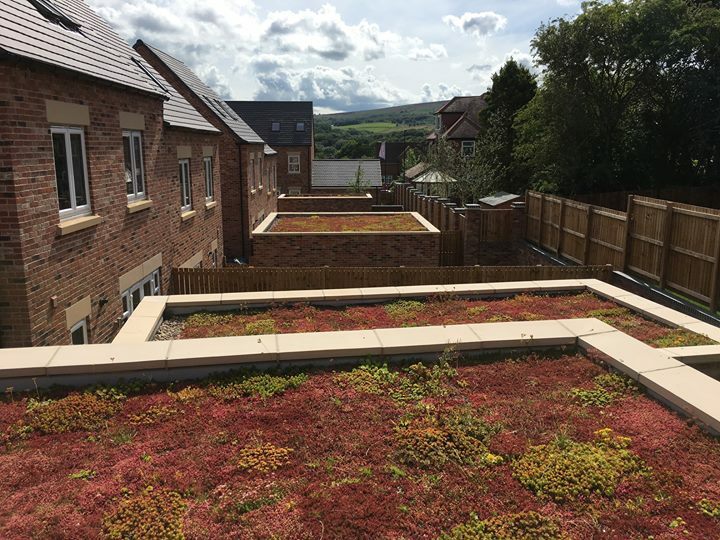 Products are installed by our experienced flat roof technicians- although each project will be overseen by one of our contract managers (who act as a point of contact throughout the project). With insurance back guarantees available you can enjoy complete peace of mind- not to mention your dependable and cost effective new roof. Previous Who are Endon Roofing? Next Will a flat roof repair be sufficient?